It’s very essential for all home owners to use what is the best material to make a product no matter what the cost be. One such material is Marine Plywood which has been not understood very well. •	The Adhesive used to glue veneers must be waterproof. •	Voids i.e. vacuums should strictly be avoided while gluing veneers. •	The face and inside veneers must be of best quality veneers. 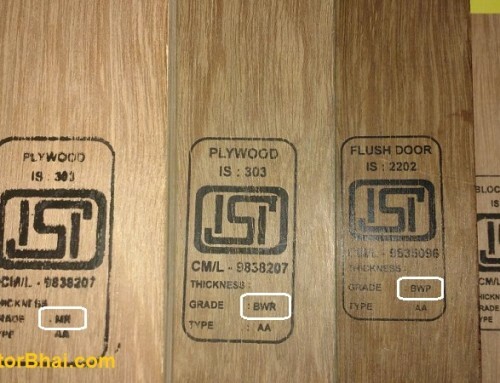 There are different grades of marine plywood viz. BWP (boiling waterproof) and PF (phenol bonded) plywood. There are few vendors who denote marine or waterproof ply as BWP and PF. So next time when you go to buy marine ply, do not be tangled if you hear BWP and PF plywood. 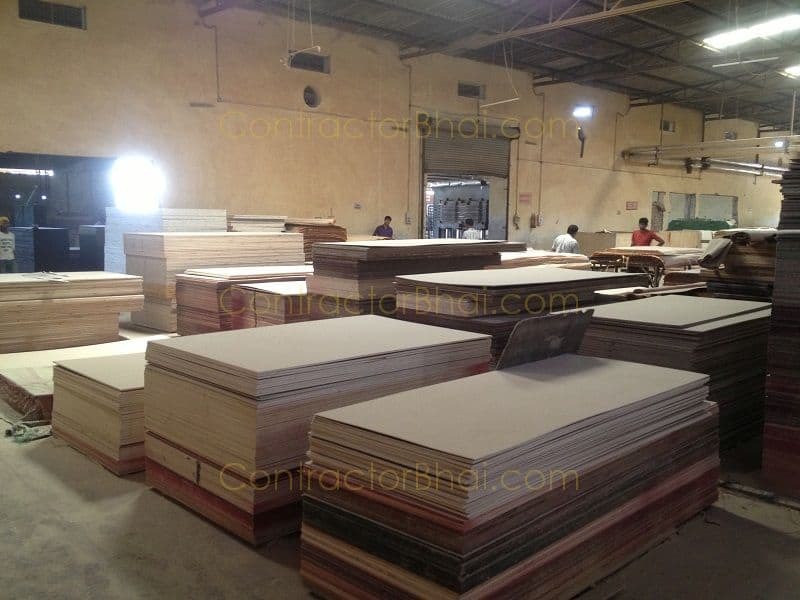 Well it’s true that marine plywood and BWP or PF plywood are not exactly same as far as properties are concerned or even its manufacturing style. Marine grade plywood is of an even better quality than BWP grade or PF grade plywood.It is used in conditions where the plywood is sure to get a prolonged exposure to extreme weather conditions such as even being submerged in water. What makes marine plywood different from BWR and PF waterproof plywood? Marine plywood is quite a different concept. To make Marine ply, veneers of few selected species are only used. Marine ply will never be made of any given species. The few selected species include Eucalyptus, Gurjan and Popular. At time a combination of these veneer species i.e. 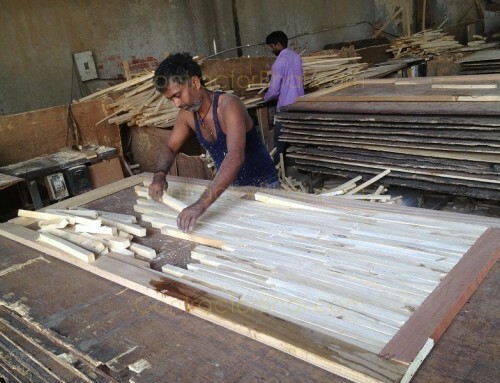 say eucalyptus and popular or eucalyptus and Gurjan is used to make marine plywood. 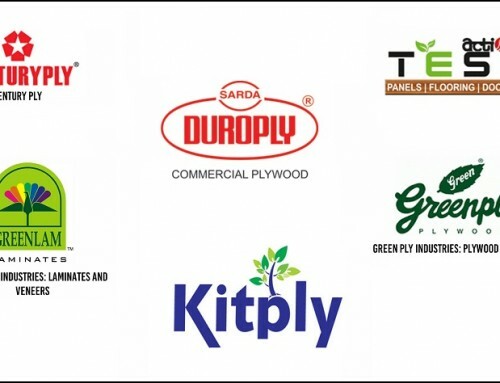 Also the use of undiluted or concentrated phenolic resins like phenol formaldehyde increases waterproofing quality of Marine plywood significantly. Whereas for BWR grade waterproof plywood and PF grade plywood, the adhesives are diluted before using it to glue veneers together.For home furniture necessities using waterproof BWR grade waterproof plywood is usually considered to be good enough. 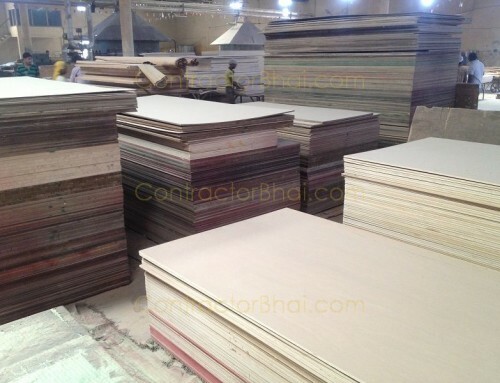 The costlier Marine grade plywood is usually avoided for home interior purpose for such a purpose. Well today due to lack of knowledge, many home owners are cheated by dealers and retailers. They often hand over commercial ply as waterproof or marine ply at the cost of waterproof plywood. To avoid such cheating home owners can now perform a home test to check if they’ve received waterproof plywood or not. 1. Place a piece of given plywood in pressure cooker with sufficient water level (the plywood shall sink inside). 2. Let minimum of 5-6 whistles to blow. Turn of the stove knob. 3. On cooling, open the cooker pan and check. A good quality waterproof plywood will have no effect or changes on performing this test. Whereas a low quality waterproof ply or commercial ply will show changes like deformation, a bend, veneers come apart, or similar on performing this test. You therefore can avoid being cheated and suffer with low quality plywood, especially waterproof plywood. It is said that the best quality commercial ply usually have no effect when in contact with cold water for 24 hours. 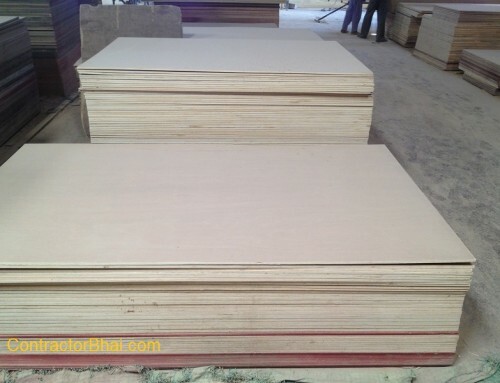 But a waterproof plywood be it marine ply, BWP or PF plywood will have no effect even if in contact with water for several hours, no matter what the temperature be. Hi Nitin, I a looking to renovate my house.looking to make some new furniture and retain a few old things. Job includes painting, PoP, Walmart tiling, plumbing and furniture. Area of my flat 850 sqft. 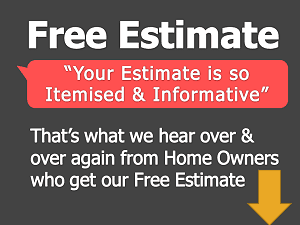 if you fill up “free estimate” form, we will send you rough quotation which would have rate information on most of asked points. I am looking to renovate my flat kitchen to modular one, could u pls provide some idea for water proof material like ply, hinges and other good quality hardware.